Celebrate the rich heritage of Victoria's Wimmera/Mallee region with a journey along the 200km Silo Art Trail, soon to become the country's biggest outdoor gallery. Horsham in the west of the Grampians is the perfect gateway to cruise from town to town and witness this innovative art project that sees renowned street artists from Australia and across the globe transform wheat silos into giant works of art. The trail brings together internationally recognised street artists – Julia Volchkova, Guido van Helten, Fintan Magee, Matt Adnate, Kaff-eine and Rone – and takes in six of Victoria's smallest towns. Murals in Sheep Hills, Brim, Patchewollock and Rupanyup are already complete, while new works by Kaff-eine and Rone are planned for Lascelles and Rosebery. 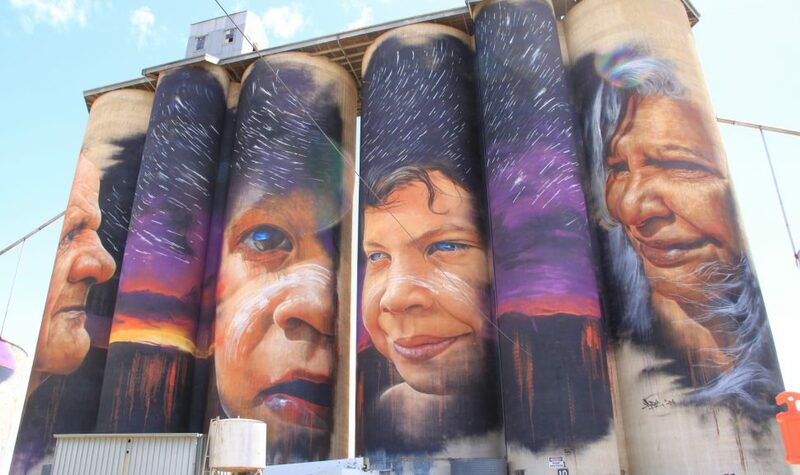 A unique art project that is still evolving, the Silo Art Trail has already revitalised the towns and brought thousands of new visitors to the region.